The cruise industry is experiencing an enviable growth trajectory that shows no signs of slowing. We’ve previously blogged on this topic, noting that a remarkable 106 ships are scheduled to be delivered in the next 10 years. Companies of all sizes, publicly traded and privately held, are building new ships at a record pace. They’re also investing millions to refurbish their existing fleet, and some companies are buying existing tonnage to add to their fleet. Business is great, but it leaves itinerary planners in a quandary: where will all these ships go? Guests are looking for authentic experiences that allow them to discover a destination and get a true sense of its culture and people. 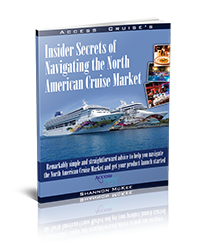 They’re always looking for new experiences, and for a cruise line to meet this demand there is a constant search for new and emerging destinations, giving some of the lesser known ports the opportunity to step up and be noticed. The Port of Rijeka Authority started working with Access Cruise 4 years ago with the goal of bringing more ships their way. The Port of Rijeka was confident that their destination would be popular, they just couldn’t get to the decision-makers or didn’t know who they were. In 2015, Access Cruise was hired to establish those connections and get the conversation started. That year, there were 2 cruise lines with scheduled calls. Rijeka is ideally located, which is a significant factor that works in their favor. Its proximity to Venice makes it a logical choice for Venetian itineraries and it’s close to a number of fascinating and unique places offering visitors a great variety of experiences. With other ports in the area challenged by saturation, Rijeka can further showcase as a desirable alternative. By the end of 2017, nine cruise lines brought over 20,000 visitors to Rijeka, a 14% increase over 2016. In 2019, Rijeka will welcome 55,363 visitors, an incredible 232% increase over 2018. Named the European Capital of Culture 2020, Rijeka is preparing for a year of celebrations as 2020 shapes up to be a banner year for the destination and the ships visiting. Rijeka has strategically invested in its future by partnering with Access Cruise to increase visibility, planning for the continued development of the waterfront and marina, and delivering authentic and fun guest experiences. These factors, coupled with Rijeka’s ideal Mediterranean location, make this an emerging destination that’s caught the industry’s attention. As the industry continues growing we look forward seeing Rijeka emerge as a required destination for itinerary planners and cruise guests.